Promotional products, corporate gifts, product sourcing & bespoke production - we've got you covered! Promotional products, product sourcing & bespoke production - we've got you covered! On approval, we decorate the product and ship to you! 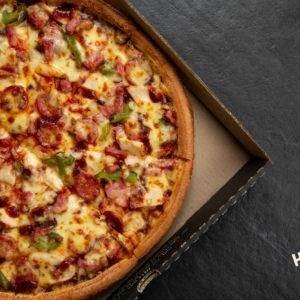 You found our hidden HELL Pizza! The Collateral Company specialise in product sourcing and the custom design and production of bespoke promotional products, corporate gifts and Marketing collateral. We service many of New Zealand's leading Grocery and Consumer brands providing them a Creative and Logistics partner able to devise, produce, and manage all their product requirements, to drive brand awareness and increase sales. Now you can utilise that very same service and expertise to put your brand in consumer's hands! Brief us on your campaign objectives, product requirements, deadlines, Creative & budget, etc. We'll engage with reputable manufacturers to source your desired products or apparel & present you a range of items to choose from. You shortlist your preferred products & specifications & we'll confirm the final costs, timings and logistics. On your approval, we'll manage all the sampling, production, QC & shipping to New Zealand or worldwide.